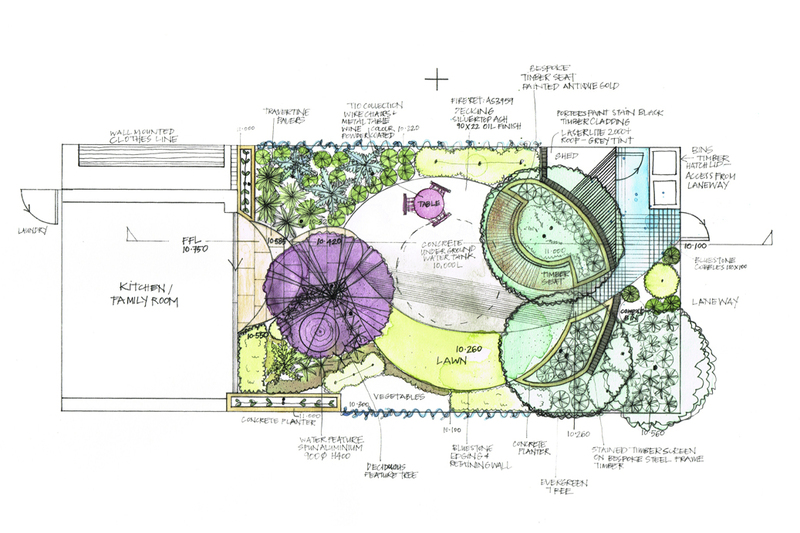 Australian Institute for Landscape Designers and Managers 1st prize National Student Design Competition for 2012. 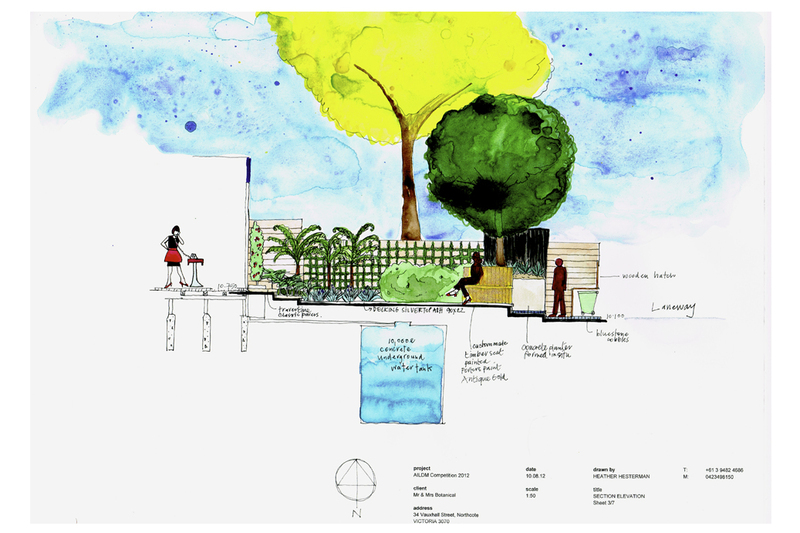 The brief for this site was to create a garden for a family with 2 teenage children, accommodating service areas, an existing tree, blocking views of an adjacent apartment block and providing some edibles and an entertainment setting. 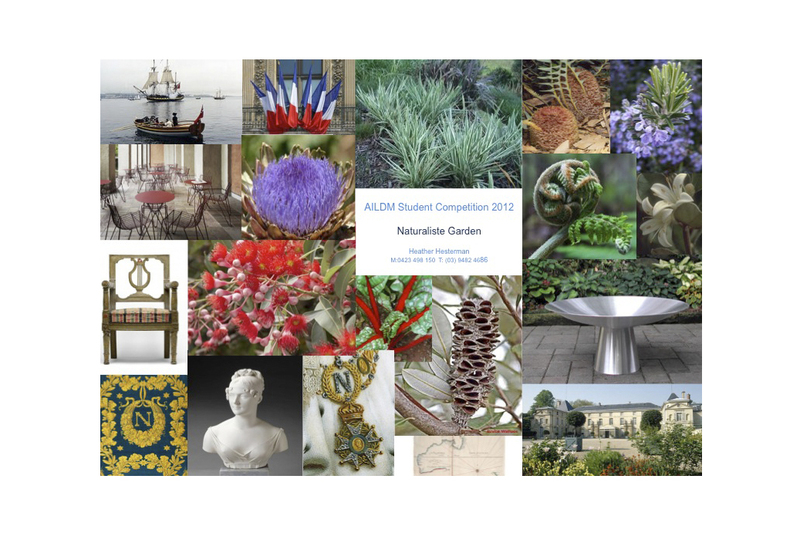 Inspired by a historical French/Australian connection through naval and botanical expeditions, I designed a garden that was a fusion of exotics and Australian native species using decking, a lawn area and seating with raised garden beds and timber screens for privacy. Coastal Banksia (Banksia integrifolia), Flowering Gum (Corymbia ficifolia) and Flowering Crabapple (Malus JFS-KW5 ‘Royal Raindrop’) were used as feature trees along with Soft Tree Fern, (Dicksonia antarctica) and clipped White Correa (Correa alba).